Solid shampoo? some people might find it odd but i have tried 6 solid shampoo bars from Lush and after using up 3 i bought myself another 3 when i was abroad to restock. First one i started using was SEANIK, i fell in love the colour, knowing it has sea salt and sea-weed made me think beachy hair and soft. A shampoo bar with seaweed to soften and sea salt to give body. Our ocean-inspired bar is made with Irish moss and nori seaweed, which give a lovely mineral rich gel that softens the hair. From the details of what LUSH wrote about this shampoo bar, it says it all. 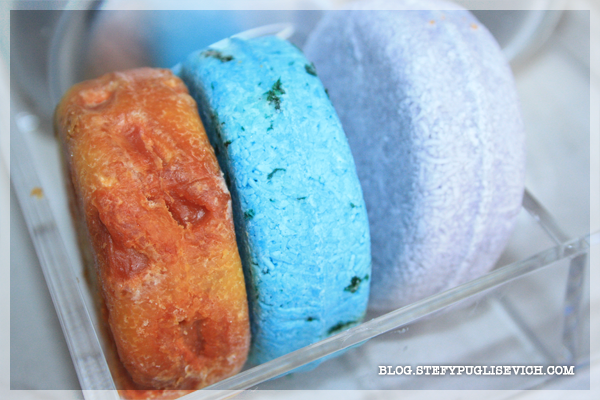 It smells divine and you might be asking how to use these shampoo bars? Rub the bar between your hands with water, work the lather gently and thoroughly into wet hair, then rinse away. One light lather is enough. 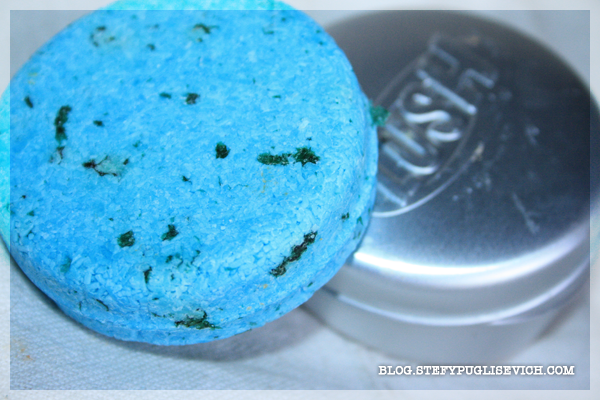 They cost £5.25 from any local UK Lush Store and can last you up to 2-3months depending how much you wash your hair! I have to admit i tend to start with this with the first wash, continue with my aussie color matte shampoo then finish off with my aussie conditioner and my hair has never felt so amazing. I would definitely reccomend to others willing to try! HAVE YOU TRIED SOLID SHAMPOO?